Below you can view all the homes for sale in the Medlock Park subdivision located in Decatur Georgia. Listings in Medlock Park are updated daily from data we receive from the Atlanta multiple listing service. To learn more about any of these homes or to receive custom notifications when a new property is listed for sale in Medlock Park, give us a call at 404-998-4097. Redistricted To Fernbank Es In 2019-2020 Sy Check The Virtual Tour For More Pictures. MLS#6535522. Keller Williams Rlty, First Atlanta. Elementary School Recently Zoned To Fernbank. MLS#6530998. Keller Williams Rlty-Ptree Rd. Three True Bedrooms Including Over Sized Natural Light-Filled Master Suite Spacious Side And Rear Deck Overlooks Super-Sized Peaceful Back Yard. MLS#6534272. Palmerhouse Properties. Redistricted To Fernbank Elementary Starting Fall 2019. MLS#6531643. 2Nd Act Realty, Llc..
You Cannot Beat The Location, Close To Two Parks, Path Trails, Clyde Shepard Nature Preserve, Tons Of Shopping And Restaurants! New Roof! Zoned Fernbank Elementary MLS#8557029. Keller Williams Rlty First Atl. You Cannot Beat The Location, Close To Two Parks, Path Trails, Clyde Shepard Nature Preserve, Tons Of Shopping And Restaurants! New Roof! Zoned Fernbank Elementary MLS#6529504. Keller Williams Rlty, First Atlanta. Almost 1/2 Acre Lot Is A Gardener'S Dream. Must See. MLS#6528102. Georgia Renaissance Realty, Llc..
Gardener'S Dream: Pollinator Plants, Herbs, Blueberries, Strawberries, Garden Boxes Ready For Tomatoes. MLS#6518780. 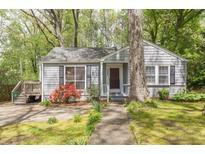 Atlanta Fine Homes Sothebys Intl..
Prime Location Close To Shops, Restaurants, Cdc, Emory. MLS#6512766. 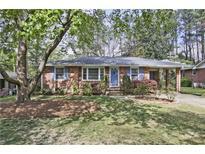 Georgia Renaissance Realty, Llc..
Conveniently Near New Shopping/Dining, Downtown Decatur, Tocco Hills, Emory And Cdc. 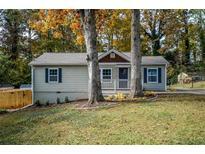 MLS#8537691. Chapman Hall Realtors. Now In The Fernbank School District Starting Next School Year! Best Value In Fernbank! MLS#6506857. Atlanta Fine Homes Sothebys International. The Size, Location, And Value Are Hard To Beat So Don'T Miss Out! MLS#6507465. Keller Williams Realty Metro Atl. Near Emory/Cdc With Plenty Of Shopping And Restaurants. MLS#6121999. Method Real Estate Advisors.